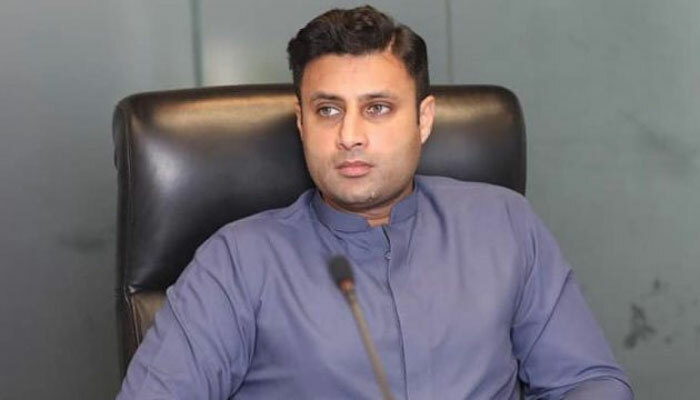 Islamabad: Zulfikar Bukhari, Special Assistant to Prime Minister Imran Khan on Overseas Pakistanis and Human Resource Development along with His Excellency Qatari Ambassador to Pakistan Saqar Bin Mubarak inaugurated "Visa Facilitation Center" in Islamabad. 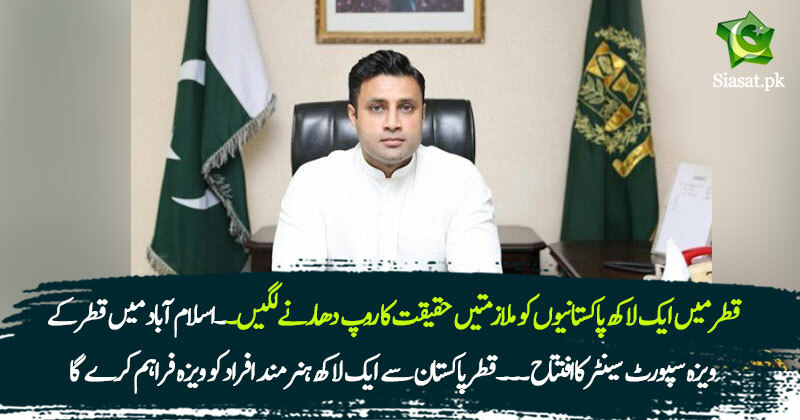 In a groundbreaking ceremony, Zulfikar Bukhari said that the government is committed to the goal of filling 100,000 job vacancies promised by Qatar for Pakistanis and it is in line with the Prime Minister's vision of creating employment opportunities in and outside Pakistan. Qatar had promised 100,000 jobs for Pakistani workforce and the process has started, Zulfikar Bukhari said. Pakistani skilled labor force will also be employed in the 2022 FIFA World Cup. Furthermore, they will also be utilized in other major ventures such as construction projects in Qatar. While mentioning the problems of Pakistanis in Saudi Arabia, he said that Pakistan is also in dialogue with Qatari officials to adjust the skilled labor force coming back from Saudi Arabia in Qatar. While talking to the participants in the inauguration ceremony of the Visa Center, Saqar Bin Mubarak said that in the past, Visa process was handled by Qatarian government. However, now applicants can get their Visas processed and approved through the Visa facilitation centre of Qatar in Islamabad. The applicants have to get their biometric verifications done at these centers. Additionally, medical tests will be conducted to certify their health and fitness. These centers will be opening in other major cities too. These 100,000 will help to feed around .5m people and add to $2bn to remittances. Is this true or just another thread with no credibility? Are all jobs grade -12 labourers or any professional IT jobs? Will everyone applying reqiure a kafeel or sponsor or is it merit based etc ? What accessability does common average man in pakistan has to do to get to Qatar company?? Best place to get this kind of info would be Qatar visa center, Ialamabad. so far zulfi is doing marvelous job . i hope he will work fairly like ali zaidi inqlabi bhai . and will not make decisions under sectarian influence . Bapu gee Football World Cup is in Qatar 2022 and Qatar needs work force Pakistan has Young work force deal is done. Lot of benefits for Pakistani people 10000 jobs helps poor families poverty more remittances When the news is fake By lafafa journalist paid anchors every day there is small videos clips on siasat pk and it’s all against pti everybody is happy to watch it. AND today when it’s good news and it’s genuine you doubting it. His house arrest has been extended to another 30 days. Khadim Rizvi had it coming to him because of his language. The kind of language he used doesn't suit a common man, much less a person with knowledge. If khadim rizvi used better language then he would've a lot more supporters. But i agree about releasing him. Imran Khan has made threats against the government too and he wasn't jailed for months. So this hypocrisy needs to stop. My guess is the establishment doesn't want him.